Good coffee makes life more enjoyable! 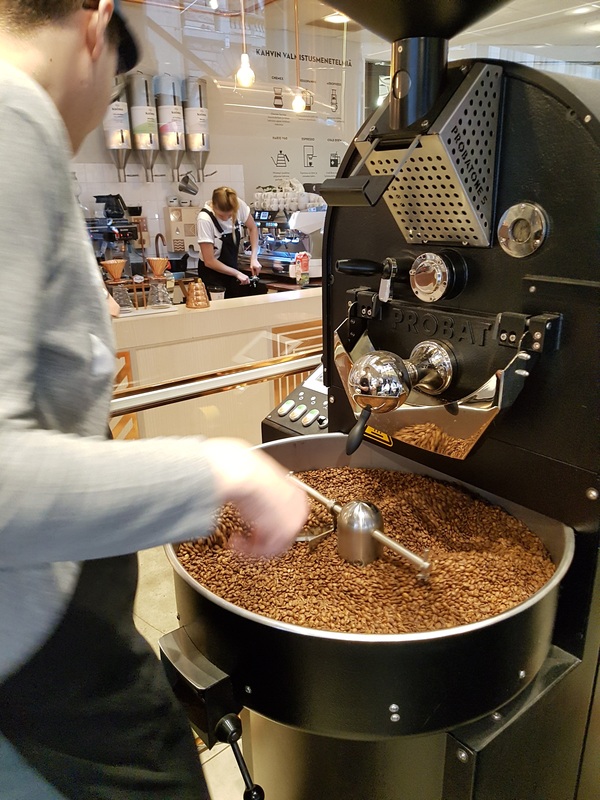 At Paulig Kulma, we always serve freshly roasted and hand-made coffee. 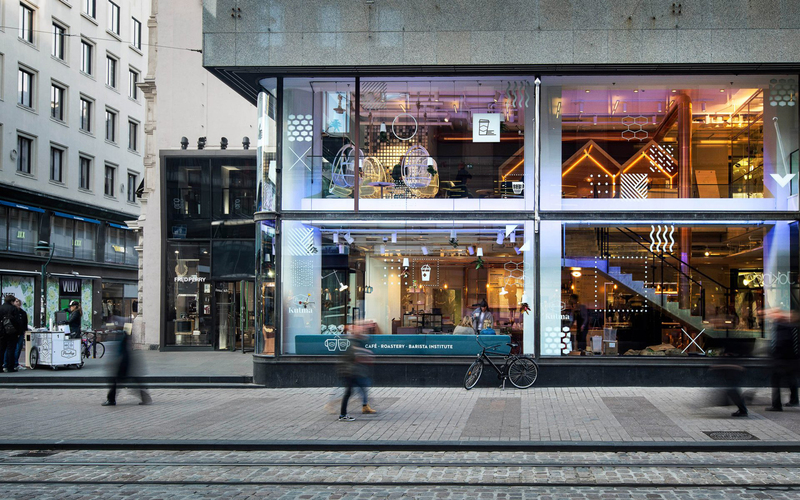 Paulig Kulma’s ever-changing coffee range consists of today’s most exciting beans. 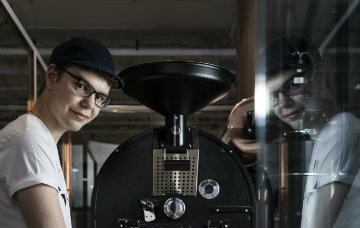 Tomi, our roaster, builds Kulma’s coffee range together with Paulig’s purchase team and is constantly monitoring the coffee trends of the world. This can be seen both in the range and in the way our coffee is roasted. At the moment, so-called origin blend light roast coffees are very popular. At Kulma, you are guaranteed to get the freshest coffee in town. We can promise this, because Tomi always roasts the coffee on the spot. 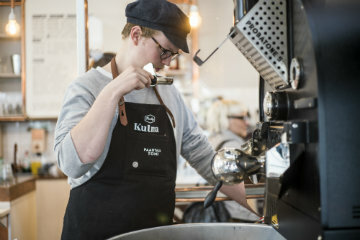 The best know-how in the field of coffee-making can be found in Kulma: all the way from the origin and roast of coffee to solid barista expertise and education. As a raw material, coffee is fine and delicate, which is why we take it passionately. Our selection always includes a wide range of high quality coffee flavours. 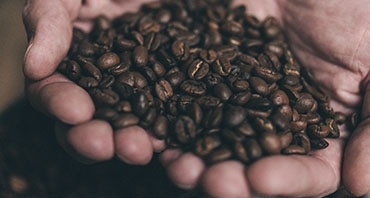 At the Kulma shop, you can also buy freshly roasted coffee beans to take home. The coffee beans are always packaged in environmentally friendly bags. If you wish, we can grind the beans for you.